Did you know second to loving tiered trays, we understand that y’all are wild for anything and everything Farmhouse. 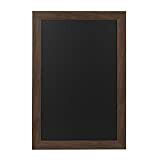 We decided that if you haven’t had a chance, now is the time for you to add something to your farmhouse. 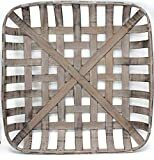 Shiplap! We’re talking about all things farmhouse shiplap today here on the blog. 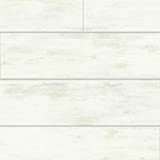 But what is shiplap? Well to learn what it is go to our other post “Farmhouse Wainscot Ideas and Shiplap too” and see how we incorporated it into our decor here at Summerhill. Now on to see some amazing shiplap designs. Farmhouse shiplap has become trendy in the last couple years, thanks to Joanna Gaines on the show ‘Fixer Upper.’ We’re super excited to show you today, how you can incorporate the farmhouse shiplap look in almost any room in your home. We also, have a sweet friend that did a post on her blog to show you how easy it is to install shiplap yourself! When you have shiplap on a wall, it is not necessary to add a whole lot of extra decor. We love how Megan added a large chippy mirror on her farmhouse shiplap wall. Her living area looks elegant with all the white pureness it incorporates. An accent wall is so important in a room. The wall where the head of your bed is located, is an easy choice for that accent wall. 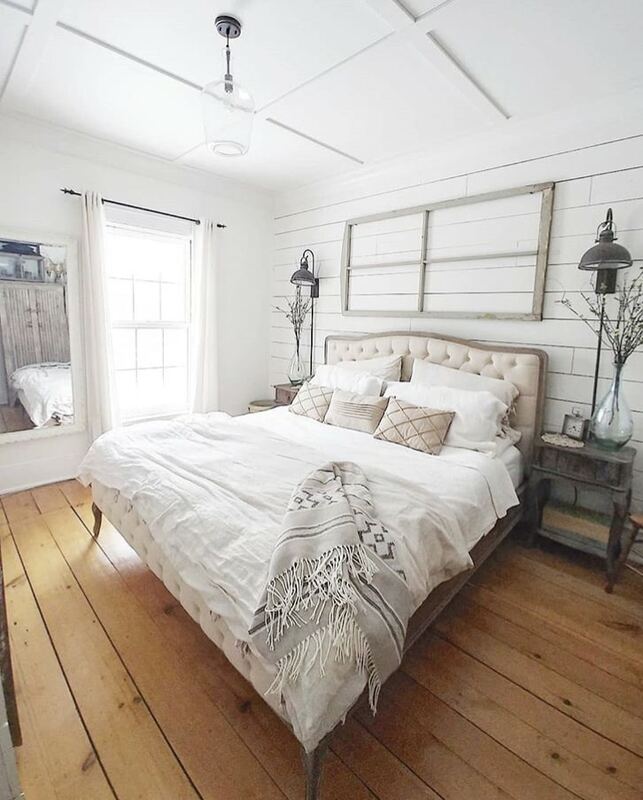 Katlin’s bedroom is gorgeous with her shiplap wall simply decorated with a rustic window and a couple bedside lights. 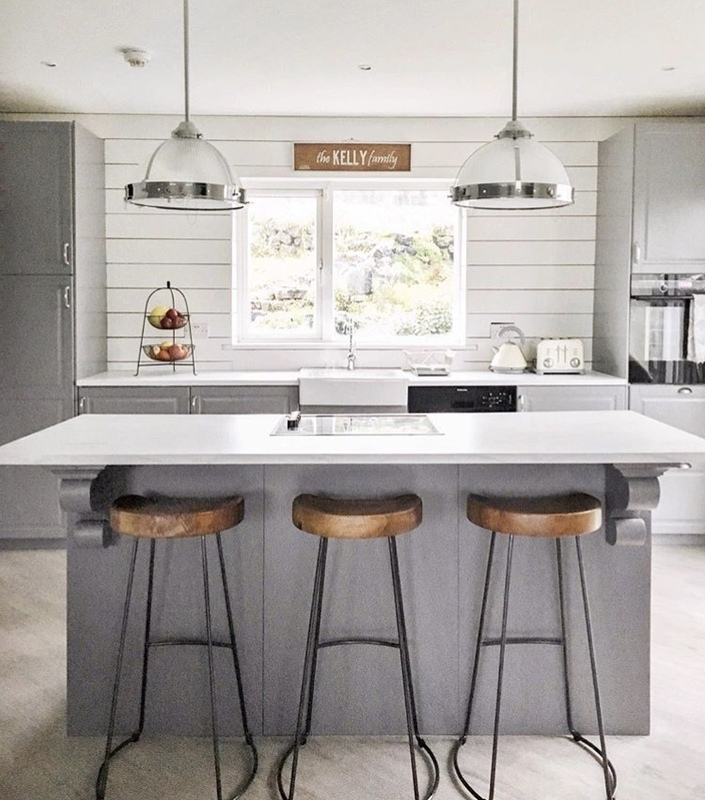 Wioleta’s kitchen is so dreamy. Can you imagine being swept away out that window while washing dishes. It’s beautiful the way the window is framed with the shiplap. We call the center seat on the barstools so we can gaze out the window. 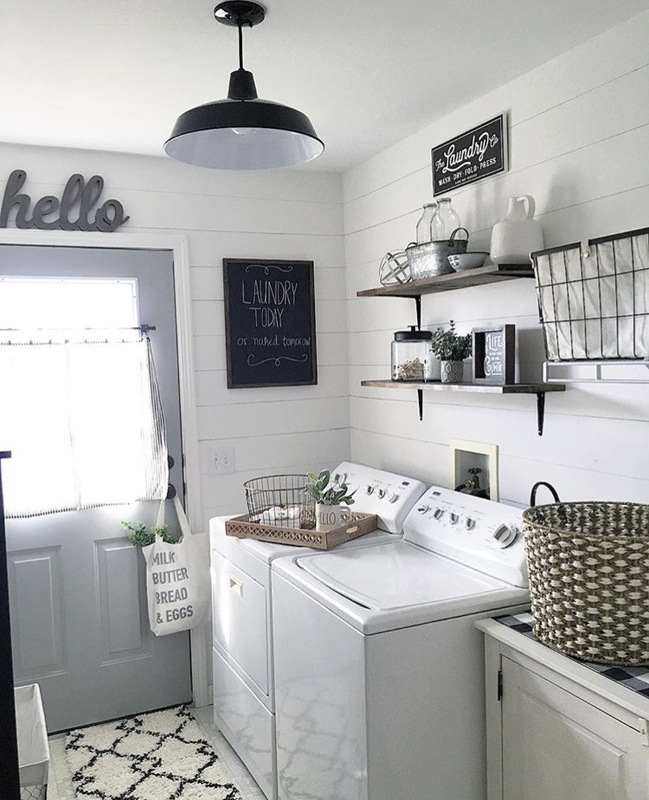 Laundry maybe your least favorite chore, but if you had a laundry room that was this pretty you might not mind spending time in it. Shiplap on all walls of this space, make it feel like you’ve been whisked back to another time. Do you love the single nod to Rae Dunn? Who doesn’t drink coffee while folding laundry! Looking at this farmhouse shiplap wall might not produce much work output. It’s so lovely and organized. But it doesn’t get much better. 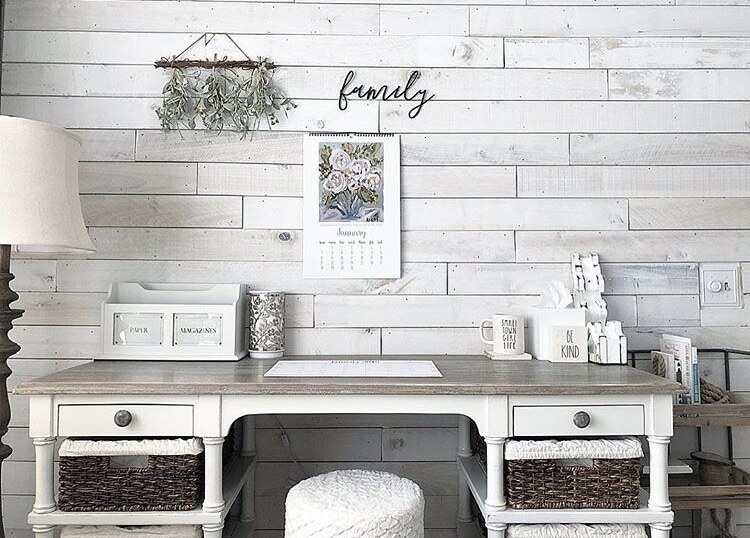 This workspace is super charming! Our sweet and talented friend Holly, over at Life on Southpointe Drive, has written a post and given step by step instructions on how to Install DIY Shiplap: The Easy Way. So, if you haven’t, but are looking to install shiplap in your farmhouse, hop over to her post. 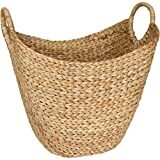 You’ll be so encouraged at how simple a very trendy look may be achieved. 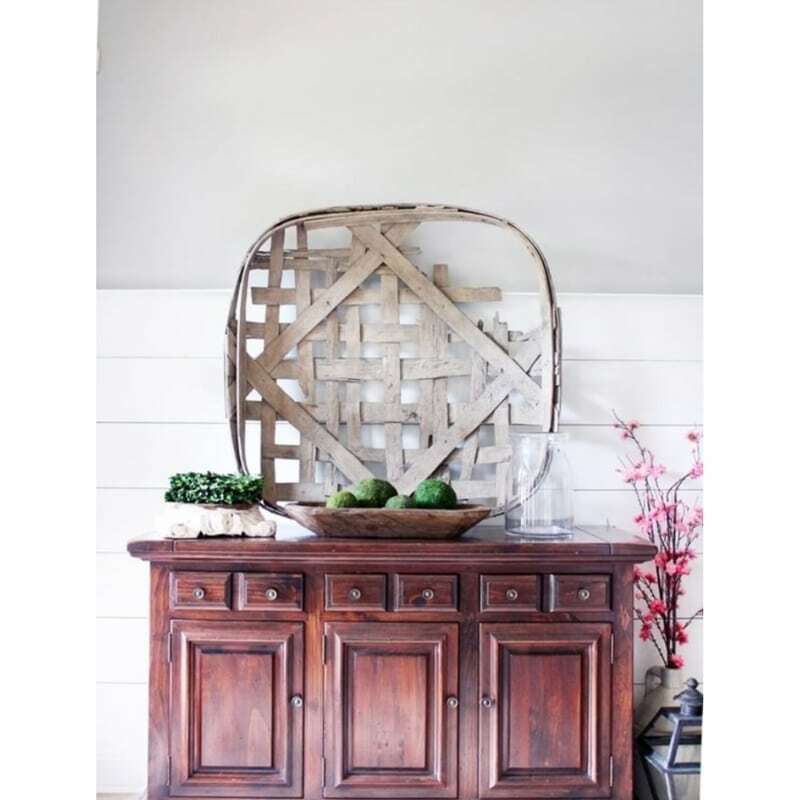 We hope that you fee inspired to add this look to your farmhouse. 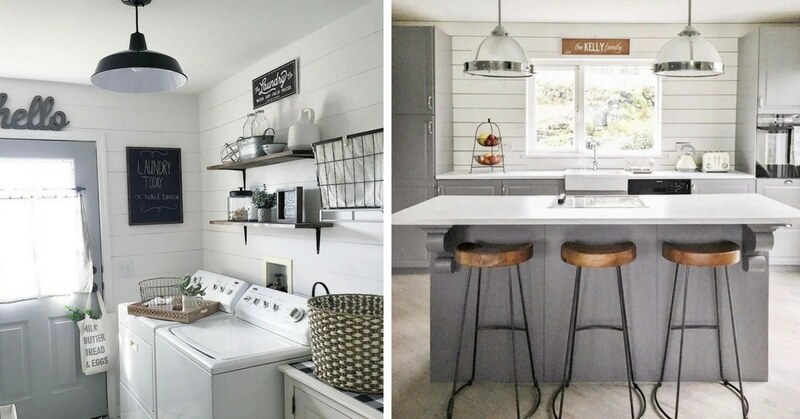 If you already have shiplap in your home, we loved to see! Shiplap is a look that can add so much to any room for sure! Thanks for stopping by!